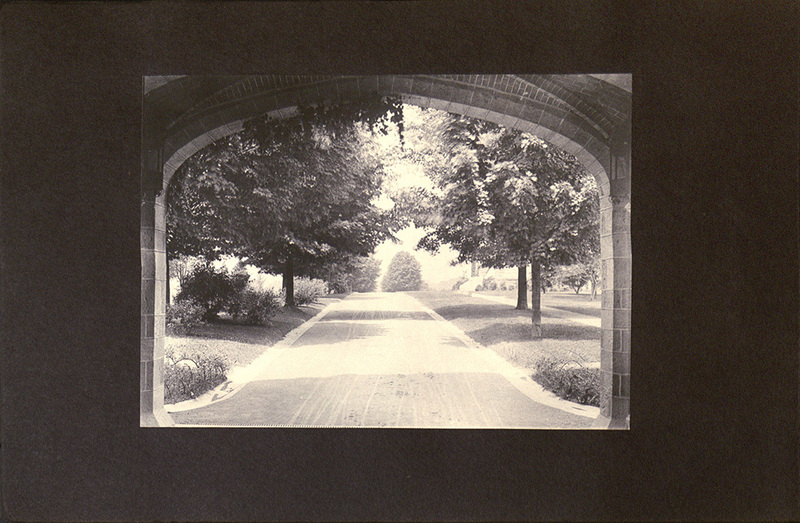 This same image from her scrapbook appears in the 1908 yearbook, seen on the left side of the page. 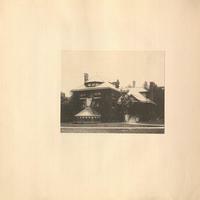 Only varying in color, the same photograph in Passmore's scrapbook appears on page 18 of the 1908 scrapbook. This yearbook image is on page 52. This image follows closely on page 56 . 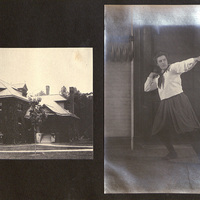 These two images appear earlier in Passmore's scrapbook on page 38. 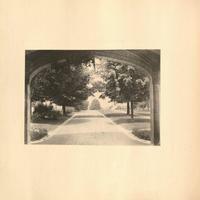 Although this scrapbook appears to be a very private and personal form of history, I discovered that a lot of the same images also appear in the Bryn Mawr College Class of 1908 Yearbook. At first, I really did not know what to make of this. Were they her original pictures in the yearbook? If so, why was she not credited for them? Or, did she copy yearbook images into her yearbook? Ultimately, I believe that she submitted the pictures to the yearbook because she started scrapbooking before the yearbook was published and some of the photographs appear early on in the yearbook. She also contributed two written pieces so it would make sense for her to include photographs as well. It is odd that she is not credited in the yearbook as a photographer if they are indeed hers. 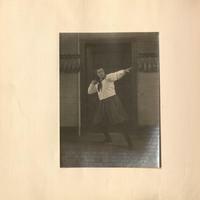 Passmore included many pictures of plays and sports in her scrapbook, which according to the 1908 yearbook, she was not a member of so it would only make sense for her to put them in her personal scrapbook if she had indeed been the photographer. But, she was documenting the whole experience of her school through her camera to make her scrapbook all encompassing, even if they were not her own, individual memories or moments.